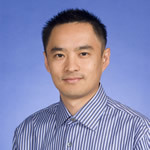 The Computers in Chemistry Division of the American Chemical Society has awarded Assistant Professor Xiaosong Li the ACS COMP OpenEye Outstanding Junior Faculty Award for his work presented at the 2012 Spring ACS meeting titled “Energy-specific Linear Response TDHF/TDDFT Method for Calculating High-energy Excited States.” The award is presented to up to four outstanding tenure-track junior faculty members based on the novelty and importance of their research. The award aims to assist new faculty members in gaining visibility within the computers in chemistry community. To learn more about Professor Li and his research, please visit his faculty page and research group site.